George Charamba said there had been an attempt to "put words into his mouth" via the Twitter account, believed to be run by one of his children. "Just when we were in there, the President was drawing my attention to an attempt to as it were, to put words into his mouth using his Twitter account. So, don't always believe that which is coming through," Charamba told reporters on Wednesday after witnessing the swearing-in of the new Prosecutor General Kumbirai Hodzi. 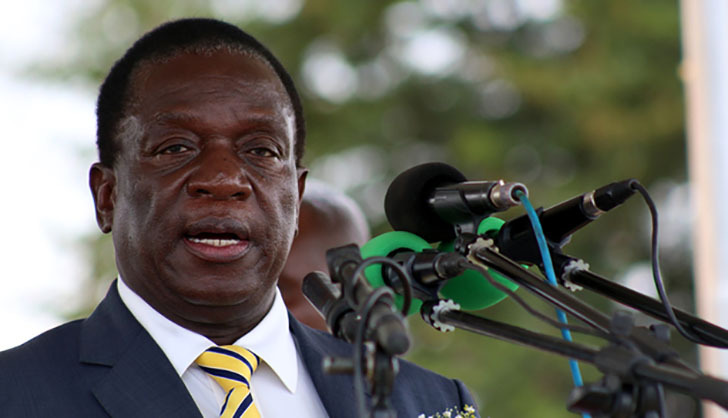 The tweets went out following Mnangagwa's return to Zimbabwe on Monday night. In one, he is purported to have said: "I invite leaders of all political parties as well as religious and civil leaders to set aside our differences and come together. What unites us is stronger than what could ever divide us. Let's begin a national dialogue. Let's put the economy first. Let's put the people first." "When it comes to national dialogue, that's a necessary accompaniment of any democratic system. But if it's dialogue that is predicated on violence, on coercion, that will not fly," Charamba said. "The key thing for all parties including those in opposition to know is that there's a way of engaging government without necessarily having to bring in people to do lawlessness and destroy property and cause loss of life in the country. After all, we have a Parliament, there is interaction going on. We have many other avenues, where interaction is going on." He maintained that Mnangagwa called for dialogue soon after his disputed election win in August last year, claiming this offer had been "spurned because the opposition were still pursuing other avenues." "When those avenues came unstuck, that's when we saw them do a U-turn to say you give us dialogue, if you don't we'll have rolling demonstrations. That's not how you engage a political system," Charamba said. MDC leader Nelson Chamisa, meanwhile, had already responded to the purported Mnangagwa tweets, saying they would not enter any dialogue when the army was still brutalising Zimbabweans and "prisoners of conscience" still facing sham trials over the January 14 protests. "Going forward, we must correct wrongs now. We call for an immediate end to the crackdown and terror that has induced insecurity across the country. We call for the unconditional release of all prisoners of conscience and political detainees whose rights continue to be violated," Chamisa said. Noting what he said were "lofty words" that often come from Mnangagwa's Twitter account, but are not matched by actions, Chamisa went on: "Our solution to the crisis requires sincerity, honesty and compassion for those we lead. It's not about lofty words or wordplay unsupported by conduct on the ground."